A no-deal Brexit could push Ireland into a recession within 18 months, Goodbody has warned. Ireland's robust economic performance faces an 'existential threat' from a no-deal Brexit, the stockbroking firm warned in its latest quarterly 'health check' on the Irish economy. "We assume that the UK will leave the EU in an orderly manner on March 29, or more likely later, but the risks have risen over recent weeks of disorderly exit. A game of chicken is now in train between the UK and the EU," Goodbody said. "How this game plays out will determine whether the Irish economy continues to grow healthily over the next 18 months or potentially falls into recession." Separately, Goodbody said fears that US tax reforms introduced at the start of last year could hit foreign direct investment (FDI) have not been realised. 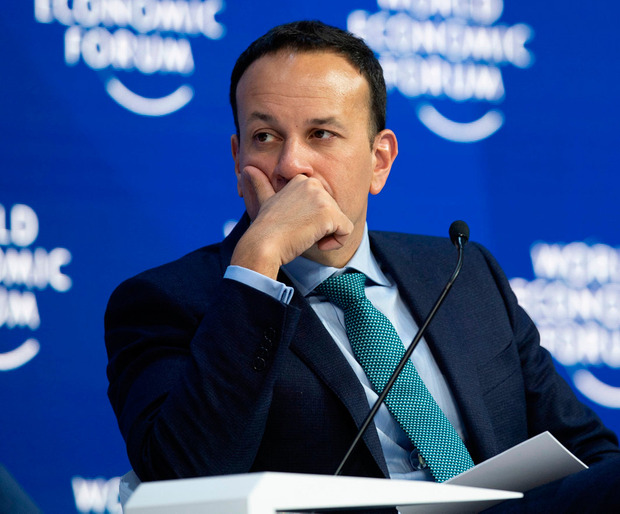 But it warned that rapidly growing FDI firms are competing hard for talent, pushing up labour costs and potentially damaging Ireland's overall competitiveness. Accountancy firm EY also released its 'Economic Eye' report on the Irish economy, cutting its forecast for growth this year to 3.9pc. It said, however, that if a no-deal Brexit materialises it would reduce the forecast further to 2.5pc. Professor Neil Gibson, chief economist for EY Ireland, said that although a no-deal Brexit would be damaging, Ireland's economy would at least be approaching it from a position of relative strength.